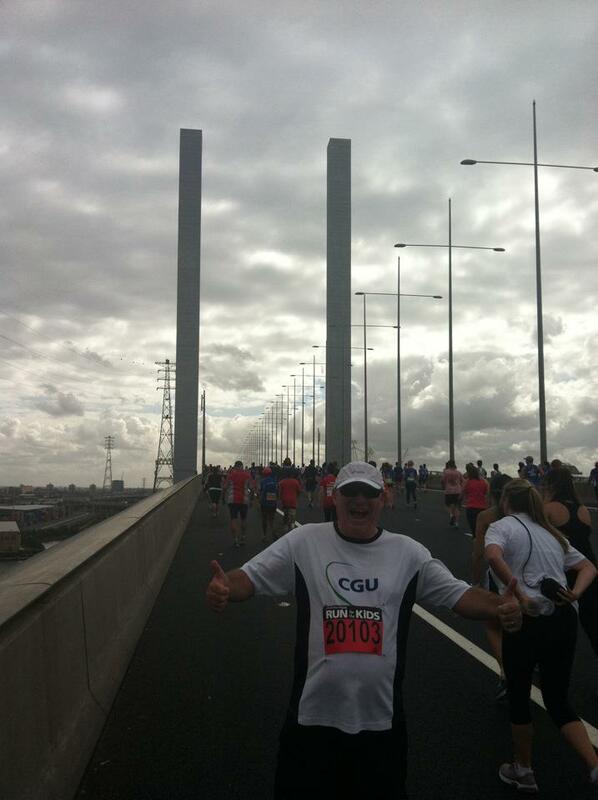 In April every year they have a fun run event to raise funds for the Royal Children’s Hospital here in Melbourne. I’ve run in the 5.2 km event in the past but that’s just around the wonderful Botanical Gardens. 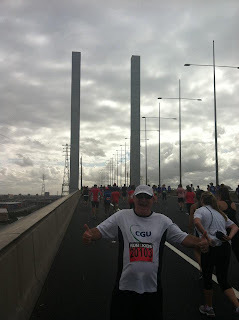 This year I was going “serious”, taking on the 14.38 km event, which took me through Freeway tunnels and over bridges normally reserved for speeding traffic who are generally running late for their flight at the airport. The main reason these roads are full of snarling frustrated drivers is because some “event” has curtailed the road and blocked a lane or two. This event is even better than that; it closes the WHOLE tunnel and Bolte Bridge from the South Eastern suburbs for hours on a Sunday morning. Given I’m reserving the hospital admittance for my mid life crisis breakdown, I thought I’d take the $50 entry option ($29 of which goes to the Kids Hospital) and take in the views and experience in a legal manner. The event “starts” at 9:15 with a caveat that you have to be out of the tunnel by 10:30 am – an hour and 15 mins for 6 kilometres – easy!!! The organisers do push the limits though, making the participants do likewise. The event is “limited to 33,000 participants”, all of whom have been overdosing on water for the last 24 hours, so the queue for the toilet facilities (which are on the back of truck a la “Kenny” style) is longer than the queue outside Apple when they release their new model iPhones. Throw in the fact that it’s early morning so the Melbourne City Council gardens have their automatic water sprinklers going, spraying the throng and muddying up the pathways and we suddenly have mayhem. This puts the start time back at least 15 minutes. Now those of you who know me, I’m one of those honest participants. The one who says “estimated completion time for 14 kilometres is roughly 7 mins per km so 1 Hour 40 mins”, as a result I position myself at the start towards the rear with the “entrants who participate for fun”, not at the front of the pack with the “can complete 10 kms in under 50 mins” group. These events are full of people who once had a run at school, 8-10 years ago, and think “I should be able to run 5 minutes per km”, not realising that it is for 14 kms not just the first 150 metres. What this incorrect positioning actually does is put a whole stack of tiring joggers in front of the ones who know their limits and we seem to cop the backwash as they collapse back into the pack. 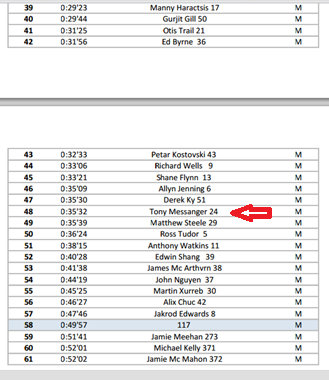 Anyways, being at the back of the whole pack it takes me over 20 minutes to cross the start line. So with the delayed start and now being stuck in one of the last waves released I have the added pressure of having to be through and out of the tunnel within an hour or else I’m going to be picked up by a bus!!!! There is absolutely no way I would be able to look the people who had kindly given me hundreds of dollars in the eye if I completed the course in a bus!!! Better get my skates on, through a tunnel reserved for traffic (so the air is thick and muggy) and the climb outwards is slow and painful. I make it with time to spare, even taking into account the people who have decided the paper cups from the drink stations would be best placed all over the road where we run (not to the side where the bins are), that handicap made the road slippery, wet and an obstacle course as well as an endurance feat. I cross the bridge (a walk was required at one stage as it’s 2 kms of steady climb) , find a vacant toilet at the 9km mark so have a quick break and then jog the last 5 kms to the finish line. Amazingly my fastest 3 kms are from 11 thru 14, the ones I don’t remember as all I was thinking was “get to the finish line, get to the finish line”. All up it was a fun day for a great cause, with myself and my work colleagues (well done to all of them) raising $1,911 for the Kids Hospital. GPS details of my run can be viewed here. I heard about this event through my regular participation in Melbourne’s wonderful ParkRun, a weekly 5 km free timed run for all comers. A friendly event that is organised by volunteers and takes place around Albert Park. Yes, the same “Park” that the State Government lend to the Grand Prix circus every year so the rich blokes in fast cars can get richer and use scantily clad females as advertising models on the roads. 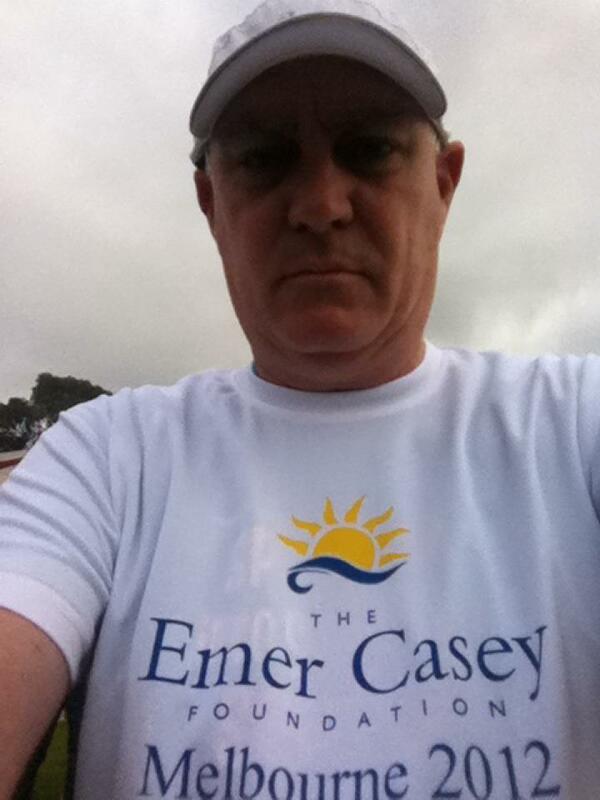 The Emer Casey Memorial Run takes place through the grounds of Monash University to raise funds for Ovarian Cancer research. With only a $20 entry fee and all funds going to the charity, this was an event I was looking forward to. Of all the “fun” events I’ve run in over the last few years, this one was by far the most fun. I participated in the 5km event along with two fellow ParkRunners, Danielle and Ana, and with the friendly encouraging volunteers all the way, Irish Bands along the route as well as at the finish line and a free BBQ snag at the end, we had a great time. The grass underfoot in a few places may have been a bit boggy (that’s my excuse for the slow finishing time), the rain drizzling, but with a small field of 171 runners the enjoyable element was to the fore. This is one I’ll be back for in 2013. A huge thanks to Champion Picks (if you want to be a better horse punter I'd visit them and see their offers if I was you) for their kind donation, a big push to help Danielle, Ana and myself raise $255.